I downloaded the 2.63 RC1 and I can’t seem to find the Clay strips brush. If it is in trunk it should be on 2.63 RC1 right? The work you are doing on the sculpting is very valuable. 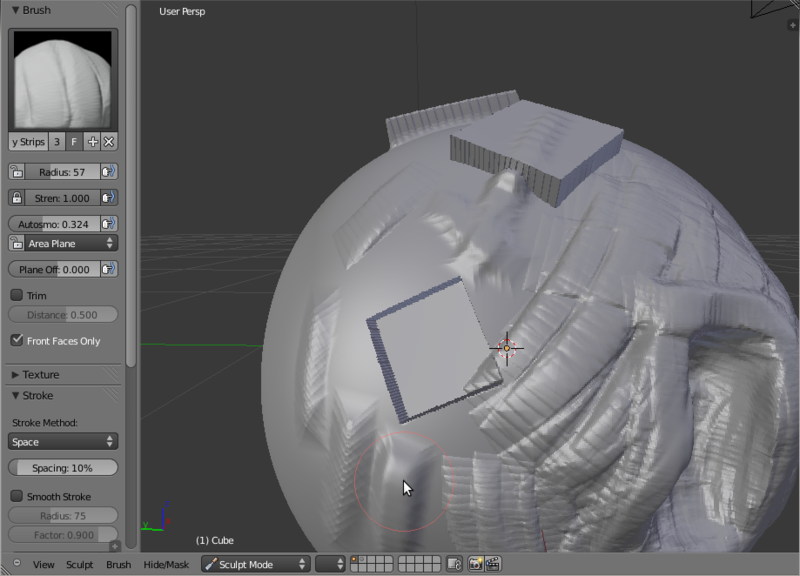 Skin, masking, hiding, remesh, very exciting . I realised the other day that I can reach very high polycounts with the right settings, up to 25 Million pollies. That plus all the new feature makes sculpting in Blender a very viable option. I can finally ditch zbrush and go 100% open source! Woohoo! You probably have an older startup .blend. You can manually add it by adding a new brush and setting its sculpt tool to clay strips from the ‘Brush’ menu in the 3D view header.